Inbox is Google’s new take on email, but as many of you have already noticed, the app is a lot like Mailbox, a popular email app that helps make you more productive by turning your inbox into a task manager of sorts. Both are pretty awesome. Both are also very different ways of attacking email, though. To use either, you really need to look at your inbox in a different way, which for some of you, may be too much to ask. Since we received an invite for Inbox, we decided that we should show you how it works. If you decide to take Inbox for a spin at some point (assuming invites become available in the near future), then we want you to know what you are getting yourself into. Because again, this isn’t the typical email setup where you receive all emails into your primary inbox, many of which fill up that inbox and make you feel like an unproductive slug. These apps want you to be more organized by not only automatically separating emails into pre-set categories, but also by allowing you to tell some to return at a later date, time or specific location. You can swipe away multiple emails at a time, snooze them, pin them as important, and even attach reminders to them. This is pretty awesome stuff if you are a task managing freak. Oh, the app is insanely beautiful as well. 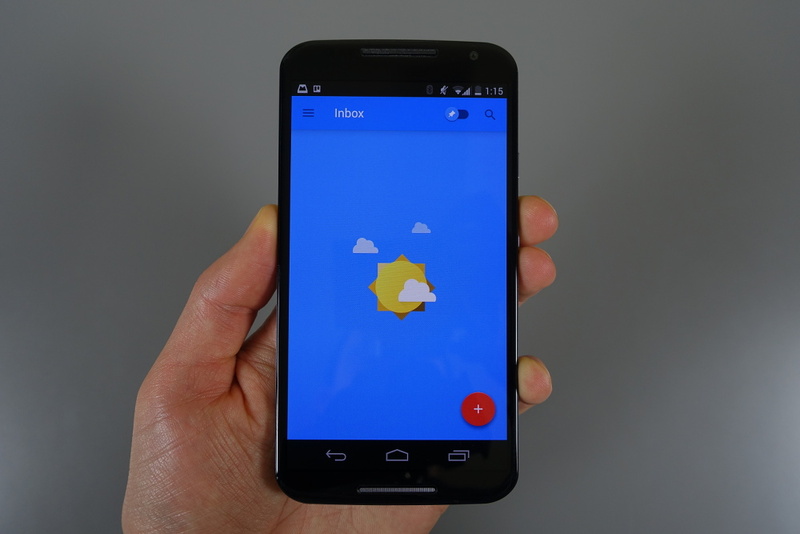 Material Design is the star, which means there are glorious animations everywhere. You need an app like this in life, even if it’s just to look at. To see Inbox in action, and to hopefully help you understand the words I just spit, check out our 11-minute tour below. *Sorry, folks, we do not have any invites to give out. Googlers and special Googler friends are about the only people with invites at this time. If we had them, trust us, we would do our best to start sharing them.